Click here to sign up for my email list. I promise I'll email infrequently and will never share your email. 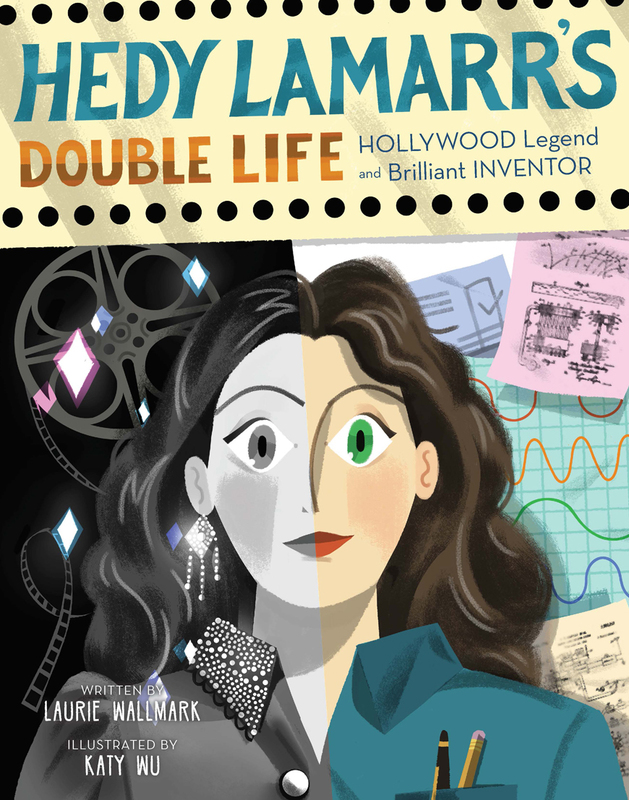 HEDY LAMARR'S DOUBLE LIFEMeet savvy scientist and inventor Hedy Lamarr, also known for her career as a glamorous international movie star. Dubbed "The Most Beautiful Woman in the World," Hedy actually preferred spending time creating inventions in her workshop to strutting down the red carpet. Hedy co-invented the technology know as frequency hopping, which turned out to be one of the most important scientific breakthroughs of the twentieth century! Today's cell phone, computers, and other electronic devices would be more vulnerable to hacking without the groundbreaking system discovered by a world-famous actress and gifted inventor. GRACE HOPPER: QUEEN OF COMPUTER CODE Who was Grace Hopper? A software tester, workplace jester, cherished mentor, ace inventor, avid reader, naval leader AND rule breaker, chance taker, and troublemaker. Grace Hopper: Queen of Computer Code tells the riveting story of a trailblazing woman. Grace Hopper coined the term computer bug and taught computers to speak English. Throughout her life, Hopper succeeded in doing what no one had ever done before. Delighting in difficult ideas and in defying expectations, the insatiably curious Hopper truly was Amazing Grace . . . and a role model for science- and math-minded girls and boys. With a wealth of witty quotes, and richly detailed illustrations, this book brings Hopper's incredible accomplishments to life. Available wherever books are sold. Order a copy now from your local bookstore, IndieBound, or Amazon. ADA BYRON LOVELACE AND THE THINKING MACHINE Ada Byron Lovelace was the world's first computer programmer-over a hundred years before the invention of the electronic computer. At a time when girls and women had few options outside the home, Ada followed her dreams and studied mathematics. Ada Byron Lovelace and the Thinking Machine is a picture book biography about this amazing woman and her accomplishments. The back matter contains a more detailed explanation of her program, as well as a discussion of Ada's remarkable predictions about computers of the future. This book ties in with both ELA and math Common Core standards.